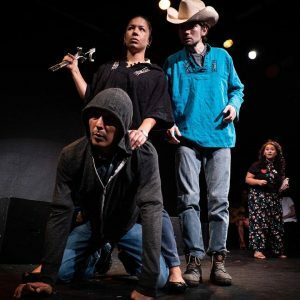 An award-winning play that explores Latinx folklore and identity will run for an additional 11 shows– following sold-out performances in August. The Secret Theatre at 44-02 23rd St. ordered 11 more shows of the Latinx play “Eight Tales of Pedro,” in response to the show’s popularity. The play also took the Best of Festival prize in the theater’s UnFringe Festival this summer. 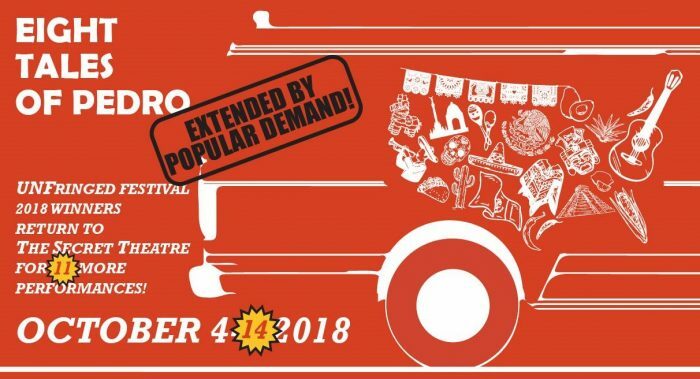 The play depicts two parallel stories, which take place in fantastical 17th century Mexico and in a modern-day van. Eight Tales of Pedro relies on all-Latinx cast of six actors, who retell eight classic Spanish folktales. The plot explores what it means to be a Latino today while also depicting the timelessness of Spanish and Latin American culture. The production was the vision of Woodside residents, playwright and producer Mark-Eugene Garcia and his husband, director Rodrigo Bolaños. Garcia said he believes that the country’s recent socio-political climate played a major role in the show’s success. He said that he felt that the folkloric protagonists, Pedro Urdemales and Juan Bobo, remind audiences that there is honor in being Latinx. Richard Mazda, Executive Director of The Secret Theatre, said he was proud to extend the show due to its popularity and subject matter. 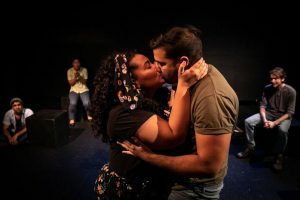 “The amazing audience response to this important play was enough to convince me that more people should experience a truly great show that tells a common tale of what it is to be Hispanic in a topical yet sensitive way,” he said. The running time for Eight Tales of Pedro is approximately 90 minutes with no intermission. The current cast includes Woodside native Laura Aguinaga (ABC’s Shades of Blue, VH1’s The Breaks), Astoria resident Richard E. Calvache (The Long Big Goodbye, Choices Made), Germainne Lebron, Federico Mallet, Kat Peña, Stephen Santana and original music by Luis D’Elias. Friday, Oct. 5th at 7:30 p.m.
Saturday, Oct. 6th at 4 p.m. and 7:30 p.m.
Sunday, Oct. 7th at 3 p.m. and 7:30 p.m.
Friday, Oct. 12th at 7:30 p.m.
Saturday, Oct. 13th at 3 p.m. and 7:30 p.m.
Sunday Oct. 14th at 3 p.m. and 7:30 p.m.
Tickets are $18 in advance or $20 at the door. They can be purchased online at the Secret Theater’s website.